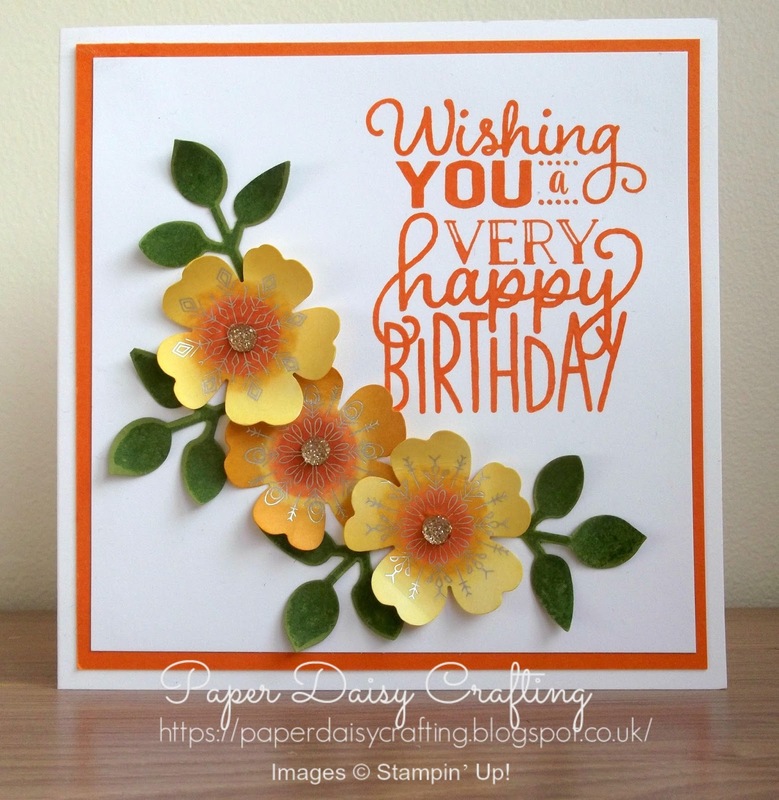 Paper Daisy Crafting: Have you seen the new Stampin' Blends marker pens from Stampin' Up!? Have you seen the new Stampin' Blends marker pens from Stampin' Up!? I'm back and just about recovered from a fantastic weekend spent with my Stampin' Up! friends and team mates. Such a great time was had by all and the icing on the cake was that we got to see the brand new catalogue, coming out to you in January - there are some gorgeous new products on the way I can promise. Meanwhile, I have been doing more playing with our new alcohol marker pens - Stampin' Blends. These are so fabulous to use. I have always avoided colouring but now am completely addicted as these pens make it so easy to produce fantastic results. Here is the card I posted a few days ago which showcases the blendingof the pens very well. Using our Pansy Punch, I just punched the flowers out of a sheet of the "Year of Cheer" papers, so that there was a snowflake in the centre of each of them and then coloured them with the blends. What do you think? You can see from the image above that I decided to change up the colours and I went with blues this time. What do you think? Which colourway is your favourite? Next time I'll show you how I put the card together. 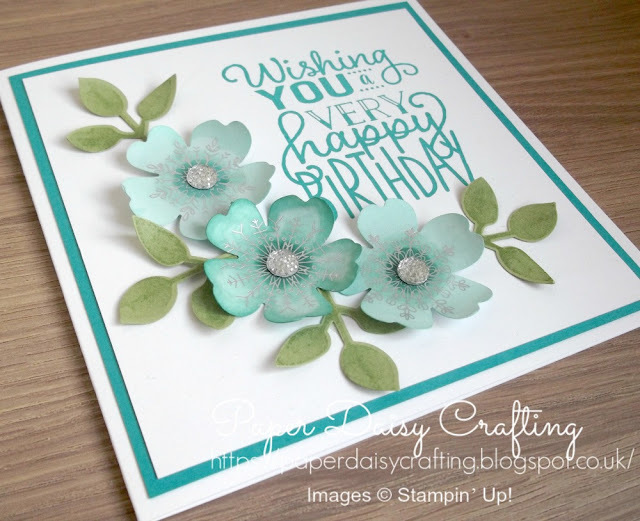 Til then, have fun and keep stampin'!! !